Most of the whiskey lovers believe that there is no bad whiskey there are only some whiskeys which are not as good as the others. Here I present you the best whiskey in the world dedicated to all those whiskey lovers out there. The quality of whiskey is graded according to its age, the older the better. Whiskey is one of the lovely drinks which does not give hangover like the other alcohols. 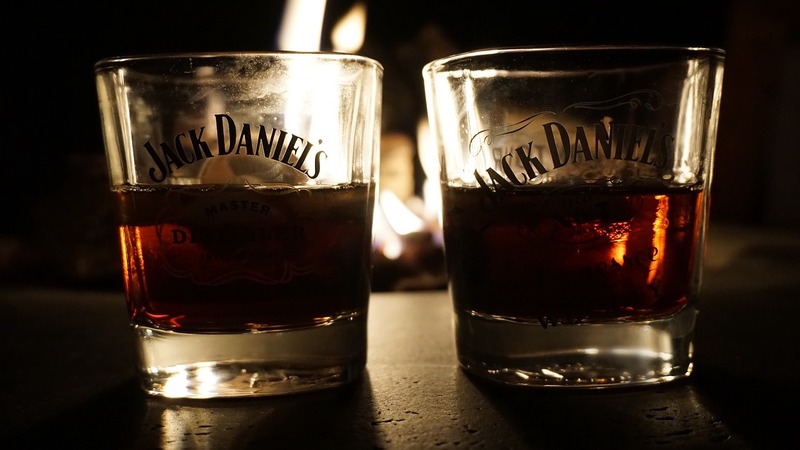 Whiskey is one of the alcohol beverages which is loved by people across the globe as it is considered to be one of the healthiest alcohol beverages. This is one of the renowned and well known brand for its premium quality blended whiskey. It has been spreading it’s magical alcohol in this world since 140 years and it owns the title ‘Nectar of God’ given by the whiskey lovers with love. It is one of the best selling alcohol in the world and has sustained this long as it has been serving the world with the best quality whiskey and managed to do maintain the quality since its inception. It is called as the whiskey of celebrities as many of the Hollywood celebrities was clicked posing with the drink. It comes with a square bottle which gives it a excellent look when you have a view at the bottle. It has a alcohol content of 40% which gives you good high. Johnnie Walker is one the best whiskey brands in the world which has been serving the world since 200 years and is known as one of the older whiskey brands. This company has originated from Scotland and is known for the variety of whiskey brands sold such as Red Label, Black Label, Gold Label, Platinum Label etc… It’s warm aroma and the fragrance made its sales increase stupendously and it claims to be selling almost six bottles every second across the globe. It hold the record of producing sic award winning whiskey brands. As the name states Irish whiskey is a product of Ireland. Irish whiskey stands tall above all the other brands from Ireland like Single malt, Single grain etc.. It is known as Classy people drink and famous for its rich taste which is Unbeaten by the other Irish brands. It is one of the renowned brands in Whiskey which was originated from Scotland and it is known for its heavenly taste which is a blend of natural herbs, honey and fruits which tastes the best against your taste buds. It is more than 200 years old which started off serving the alcohol from 1801 by the Chivas Brothers which was named after the founders and maintaining it’s premium quality since its inception. If you are a whiskey lover you should have a try at this blended scotch whiskey which has a rich and smooth taste. Black Velvet Reserve Whiskey started serving it’s exclusively smooth whiskey from 1951 which was first named as “ Black Label” which was the named after it’s stylish black labeling by which it gained the popularity and later changed to “Black Velvet” which was named after it’s smoothness as the it is as smooth as a Velvet cloth is. This canadian whiskey comes with a wide range of varieties Black Velvet Original, Black Velvet Reserve (8 years old), Black Velvet Toasted Caramel which was commenced to the market in 2012, and Black Velvet Cinnamon Rush which made its entry in 2013. It is ranked 2nd in the Canadian whiskey market share as the world loves it smoothness as it slips down the throat slow and smooth. Crown Royal started its journey in 1939 as a celebration of King George IV’s visit to Canada. But it started serving the rest of the world in 1964. This Canadian whiskey was credited as the World Whiskey of the year 2016. It has a stylish packing which attracts everyone eyes and the bottle is crafted in the shape of a crown. It also offers numerous flavours like Apple, Honey, Caramel, Vanilla etc… with Crown Royal Texas Mesquite being it’s latest version. Suntory is a Japanese whiskey brand which has started off in 1923 which is said by the company’s tagline “ The art of Japanese Whiskeys since 1923”. Japanese whiskey usually are well known for its strong taste but they have a sharp aroma which attracts people all over the world but Suntory is famous for producing smooth whiskey which adds a glitch of various flowers and fruits and leaves the after taste of Oaky and Vanilla and it holds the largest market share for Single Malt Whiskey as it’s the first Single Malt Whiskey made in Japan. It comes with the label of Yamazaki Single Malt Whiskey which was named after the oldest distillery in Japan, The Yamazaki distillery. It has also got into the Jim Murray’s Whisky Bible and won the tile of Whiskey of the year for 2015. Jameson Irish Whiskey is a proud product of Irish Distillers which has won a series of gold and double gold medals in the world Spirit competition between 2005-2010. It was established in 1780 in Ireland. It has a peculiar taste which is loved by the people all over the world due to its distillation for three times and well known for the Jameson’s idea of triple distillation. Canadian Club whiskey brand has its roots from Canada which was first introduced by Hiram Walker and Sons in 1858 and was later acquired by Beam Suntory. It is always said to have the taste of rum and had it’s unique recognition all it’s life. It comes with a stylish packing and labelling and is well known for it’s distilled whiskey. American Whiskey is the most popular product of America as its name says. It is a distilled whiskey made from the fermented mash of Cereal grain. It comes with a wide range of whiskeys such as bourbon whiskey, rye malt Whiskey, rye whiskey, malt whiskey,wheat whiskey and corn whiskey. It is known for its high alcohol percentage of 70-80% in it’s whiskeys. It is preserved in the charred new oak containers which gives it a Oaky aftertaste. As the list of Best Whiskey Brands in the world are given based on the reputation of the brands. It is suggested to try searching it online to know more about the brand before you give it a try. But if you are a whiskey lover you need to try out the brands listed out. Happy boozing and enjoy your whiskey.